Saimaa Ringed Seals are found only in Lake Saimaa in Finland and are one of the world’s rarest seals. There are thought to be just 360 individuals remaining today. They are one of a number of subspecies of Ringed Seal, except that, unlike many other species of seal, they live in fresh water. These seals became separated from other populations of ringed seal after the ice age – when the ice melted and the land rose the seals were left behind in what became Lake Saimaa and over time they evolved into a separate subspecies. Linnansaari National Park, home to around 30 Saimaa Ringed Seals. Photo: Nature Travels. 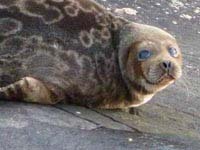 The seals are dark brown/grey with distinctive white or light grey ringed patterns on them. These patterns are individual to each seal and can be used to easily identify them. They grow up to around 130-150cm and can weigh up to 90kgs. An adult seal will eat up to 1000kg of fish in a year. Their eyes are larger than those of other subspecies of ringed seal – they evolved larger eyes to allow the seals to see better in the dim waters of Lake Saimaa. The seals use their sensitive whiskers to sense their prey (small fish such as roach, perch and smelt) and to help them navigate under water. Saimaa Ringed Seals reach maturity at around 4-6 years and can live up to 30 years, though most do not reach this age. The females give birth in nesting lairs under the snow drifts on the shoreline in late February. They usually give birth to just one pup a year weighing between 4 and 5 kg. The female seals tend to make their lairs in the same area each year. These are hard to spot from above as the entrance to the lair is under the lake ice. 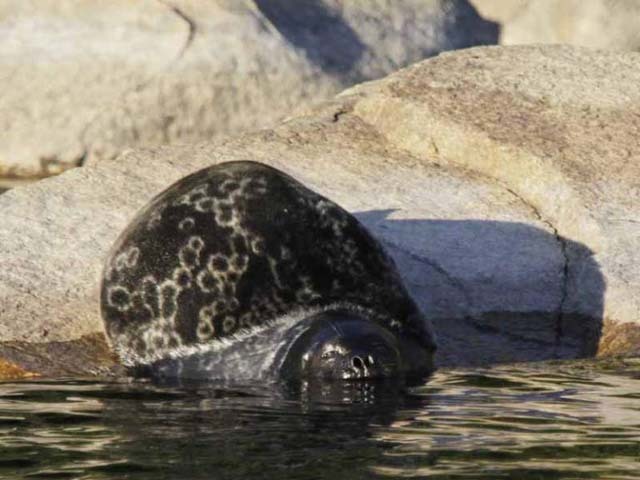 In the spring, around May, Saimaa Ringed Seals will moult and can be seen lying on the rocks. During moulting the seals will fast. Saimaa Ringed Seal. Photo: SEO. What are the main threats facing the Saimaa Ringed Seal? The main threats facing these rare animals are unfortunately all man-made. Previously seals were hunted as they were considered a threat to the fishermen’s livelihood. Fortunately the practice of hunting the seals no longer happens, however, fishing still poses a threat to the seals as they can get caught in fishing nets and drown. Even the “safer” fish traps can cause pups to drown, who inadvertently swim into them and get stuck. Climate change and global warming are causing milder winters, the milder winters mean that sometimes there is not enough snow for the females to dig secure lairs in which to have their pups. When there is not enough snow and ice, the lairs can be vulnerable to predators or to flooding from the lake edge. Increasing human activity on the shores of Lake Saimaa can disturb the seals and during the winter when the mothers are in their lairs with their pups, if they are disturbed the mother and pup will sometimes jump into the water and the pup can freeze. With increasing numbers of cabins being built near the lake, the areas which are suitable for nesting sites are reduced. What is being done to help the Saimaa Ringed Seal? Fishing restrictions have been put in place which ban the use of fishing nets between April and June in parts of the lake and special stoppers can be used in the fish traps. These still allow the fish in but stop the pups from getting into the traps. In years where there has not been enough snow for the females to build their nesting lairs, man-made snowdrifts have been built in areas females use for their lairs. These are, in most cases, used by the seals to build their nesting lairs and have helped to decrease pup mortality rates. There are a number of projects now in place that aim to help protect the seals by continued monitoring of the seals and their habitat. By getting locals involved in the protection of the seals these projects hope to raise awareness of how humans impact the seals and what we can do to help them. 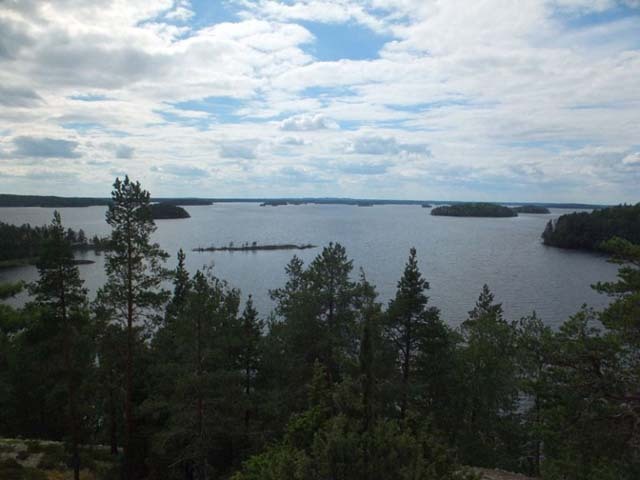 A number of national parks have been created in the Lake Saimaa area which help to protect the seals habitats, for example the Linnansaari National Park. Whilst human activity can disturb the seals, if there were no tourism in the areas then there would not be enough money coming into the area to support the national parks and therefore to support the protection of the seals. With sustainable and eco friendly tourism, visitors can enjoy the beautiful surroundings of Lake Saimaa and the seals whilst creating minimal impact on the seals and providing vital money for the seal protection projects. Nature Travels offers the possibility to Canoe or Kayak Linnansaari National Park, a wonderful way to explore this beautiful area.